"I always treated every contract as if it was my last. Your shelf life in the NBA if you have a great career is 1,200 days." 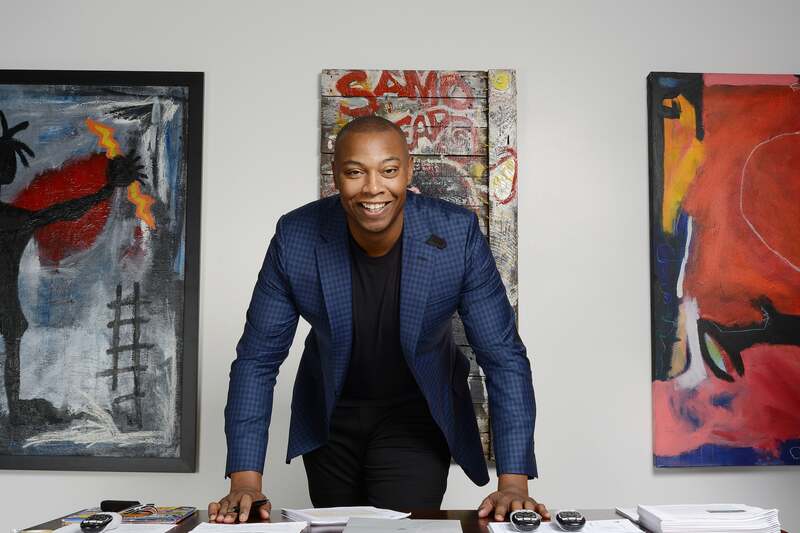 By all measures, Caron Butler is wildly successful: In addition to a 14-year NBA career, during which he was twice named an All-Star, he’s written an autobiography, “Tuff Juice,” and is an on-air sports analyst, investor and philanthropist. But his path to fame and fortune was an unlikely one. After his release, Butler vowed to change his ways. He got a job at a fast-food restaurant, and joined a traveling tournament made up of the country’s top-ranked high school basketball players—walking away with the MVP award. “People told me I’d opened up a door… that I could get a free education and make a better life for my family,” he says. He eventually landed a scholarship to play for the University of Connecticut Huskies, before getting drafted into the NBA as a first-round pick in 2002. We talked to Butler about his incredible journey to the top, the surprising ways his childhood experiences influenced his approach to finances—and his smartest investment. How did it feel to suddenly start earning millions in the NBA? Was it challenging to manage a sudden influx of wealth? The thing that saved me [from blowing my money] was what I went through at an early age. I knew this was the opportunity of a lifetime, [so] I started saving. I would live off my endorsement checks, and my regular salary would go right into the bank. I never touched it; I let it gain interest, while I continued to work hard. I also had a child at 14, so I was thinking bigger and better—I was thinking legacy. Since you go from NBA contract to contract, you never know exactly how much you’ll earn in a given year. How did you cope with that uncertainty? You went from working at Burger King as a teen to owning six of them later in life. What was behind that financial decision? I stumbled into Burger King when we were doing an ESPN photoshoot, and the other athlete who was supposed to be there was two hours late. I was on time, so [while we were waiting], I ended up getting to know the executives and finessed my way to getting franchises for a small [investment]. It was a great opportunity. Now that you’ve retired from sports, what are your post-basketball career plans? I work with Turner NBA TV as an analyst, evaluating the game, giving the play-by-play and educating people on what’s happening and why. I’m the regional West Coast guy for ESPN college basketball, and do in-studio work with Spectrum Sportsnet, Los Angeles Lakers television. I’m also an investor: We have a pastry business, vegan restaurant and a clothing company. Fortunately, I’m in a position where I can dictate what I want to get involved in. [Investing] is a great platform to remain socially relevant and visible. People hear your story and know you’re bright and what you bring to the table. Can you give us the scoop on the movie based on “Tuff Juice” you may be making with Mark Wahlberg? Mark and I were just on the phone yesterday talking about starting filming in November. It might be the first movie that he directs, although Peter Berg also wants to direct it. It’s good to have something that two of the best people in the business are excited about. It’s not going to be a basketball movie. So many people don’t know the half of my struggle and what it took to become this man I am today. It took a lot of will, trial and error, overcoming adversity and unlearning behavior I was taught and thought was right for so long. On the streets, I learned the philosophy of re-upping, which I later took into the business world. [Essentially, reinvesting profits you make.] After making $1,500, I would go back to my supplier and re-up, so I could turn that $1,500 into $4,000. Then I’d save and hustle to turn the $4,000 to $8,000. As a kid, you lived just blocks away from mansions along Lake Michigan. What kind of an impact did that wealth disparity have on you? It was a problem because you see that and you’re like, ‘Wow, there is no one out here who is going to help.’ Not that you’re looking for a handout, but it bothered me. Now I am one of the guys with a home on Lake Michigan. I shake hands, rub shoulders and sit at tables with a lot of these [wealthy] folks that I used to dis. I’m in a position to be the bridge between grassroots and suburban. [I live near] one of the VPs of Sara Lee and SC Johnson, and [none of] them had ever been to this community center [that I bought when it was about to close], which is just two miles away. Because of my platform, I was able to bring them into the center, and they have been huge assets by helping me give back. My financial advisor taught me to invest as safely as possible. I told him what my ultimate objective was—what I wanted my lifestyle to be like in 10, 15 years—and we started coming up with models. [Like] if I save this much, this is where I’ll be 5, 10, 20 years from now. My children’s education. I was first-generation riches. They will be second-generation wealth, and hopefully that continues.